These lips tell that special person everything they need to hear. You can share them anywhere on Facebook. It takes just a few seconds to place this eye-catching image in a message or post. 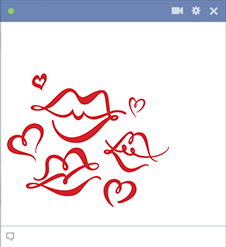 You can even chat with our emoticons or add them to comments! It's so easy and also free!